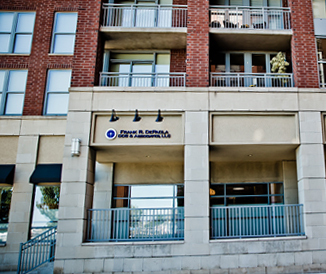 As part of our commitment to providing you with the highest quality dental care, The Practice at Maxwell Place utilizes the most advanced technology available with all of our procedures. This state-of-the-art technology enables Hoboken cosmetic dentist Dr. Frank DePaola to deliver beautiful dental restorations while ensuring optimal levels of comfort and function. iTero Digital Scanner – iTero Scanner creates a digital map which is then used to create 3-d images which the lab uses to create crowns, bridges, and Invisalign aligners. This technology helps us to give you the most accurate dental work available today. In the past, impressions of a patient’s mouth were often a innacurate, time consuming and uncomfortable. Large metal trays with liquid plaster were used to create a mold. Patients who experienced this were often left gagging and with goop in their teeth. The iTero scanner eliminates the need for any goop or trays and leave your mouth as clean as when the procedure began. Digital x-rays –Digital x-rays provide you with a number of benefits compared with traditional x-rays, including a more detailed and accurate image, reduced radiation exposure, and increased comfort. Dexis CariVu -- The Dexis CariVu system is a radiation free cavity detection device that precisely identifies signs of decay in their earliest stages. 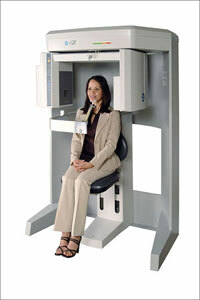 It can be used by itself or in conjunction with digital x-rays. Intraoral camera – Intraoral cameras provide a highly detailed view of your mouth, enabling Dr. Frank to identify any issues as they start to develop. 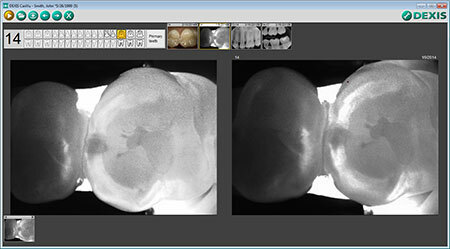 You can also view the images captured by the intraoral camera, enabling you to become a more active participant in the creation of your treatment plan. 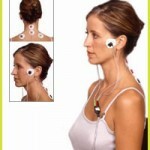 K7 and TENS unit – Dr. Frank uses the K7 Electromyography Evaluation System and TENS unit to restore proper balance and alignment to your bite during TMJ treatment. 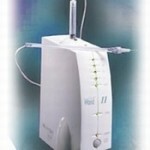 Soft tissue lasers – Dr. Frank uses soft tissue lasers with a variety of procedures for increased precision and comfort. They are an integral part of our gum treatments. 3D Cosmetic Imaging – Dr. Frank uses 3D cosmetic imaging with smile makeovers, allowing you to preview your new smile results before undergoing your procedure. This improves our ability to accurately deliver the look you desire. Oral DNA – Oral DNA testing shows Dr. Frank the exact types of bacteria present in your mouth. 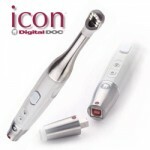 This helps us more accurately diagnose periodontal diseaseand detect the presence of tooth decay as it first develops. Isolite – Isolite allows for the safe removal of mercury amalgams. Dr. Frank uses Isolite when replacing old metal fillings and with many of his root canal patients. NuCalm -- NuCalm is an all-natural alternative to sedation dentistry that will help you feel relaxed and comfortable during your procedure. Since NuCalm is all natrual, you won't feel any lingering effects and can resume all normal activities immediately following your dental procedure. 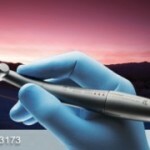 Electric handpieces – Electric handpieces provide a quieter, vibration-free experience. 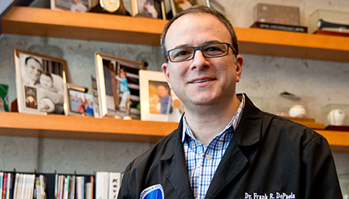 Computerized delivery of anesthetic – Dr. Frank uses a wand instead of a needle and syringe to deliver anesthetic for increased patient comfort. iTero: No more messy impressions! 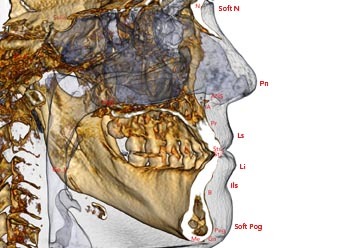 – The iTero Digital Scanner System is one of the most exciting achievements in dentistry. 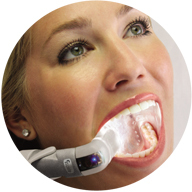 The iTero Scanner maps your mouth to help our dentists create accurate digital map of your mouth. 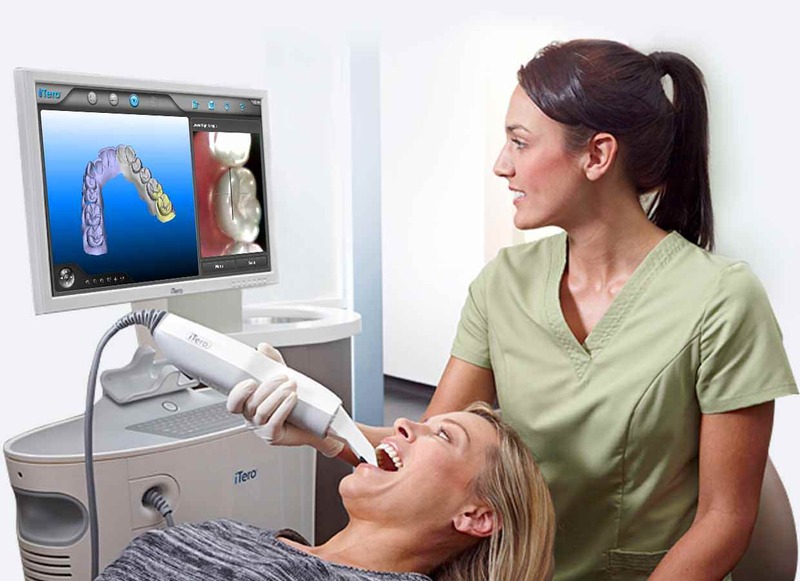 The iTero scanner eliminates the need for any goop or trays and leave your mouth as clean as when the procedure began. OraVerse – OraVerse gets rid of unwanted lingering numbness effects after your procedure. Office amenities – All of our treatment rooms are equipped with TVs and iPod hookups so that you can pass the time more enjoyably while we care for your teeth and gums. We also offer blankets and lavender neck pillows for increased comfort.